Seth Morrison’s pro model is getting to be as good as he is. 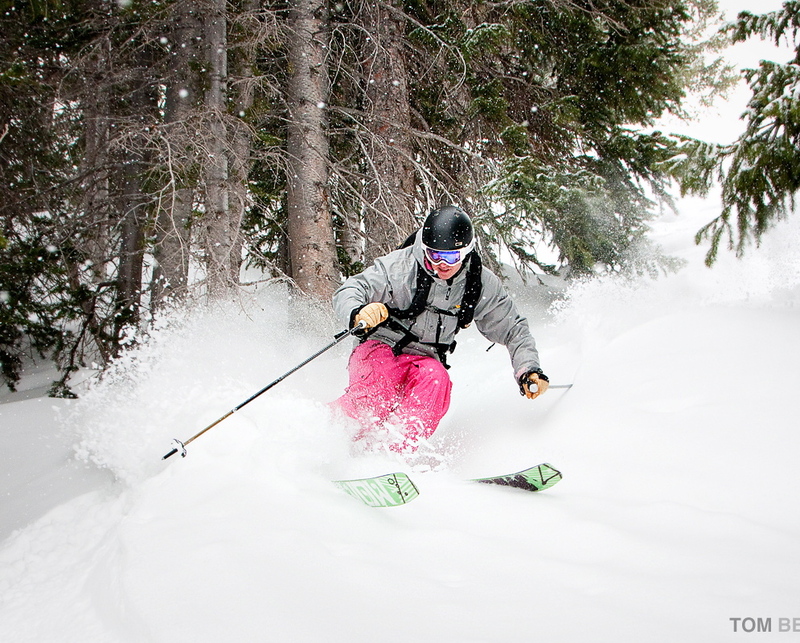 Girish means, “Lord of the Mountains,” and this ski lives up to its name. 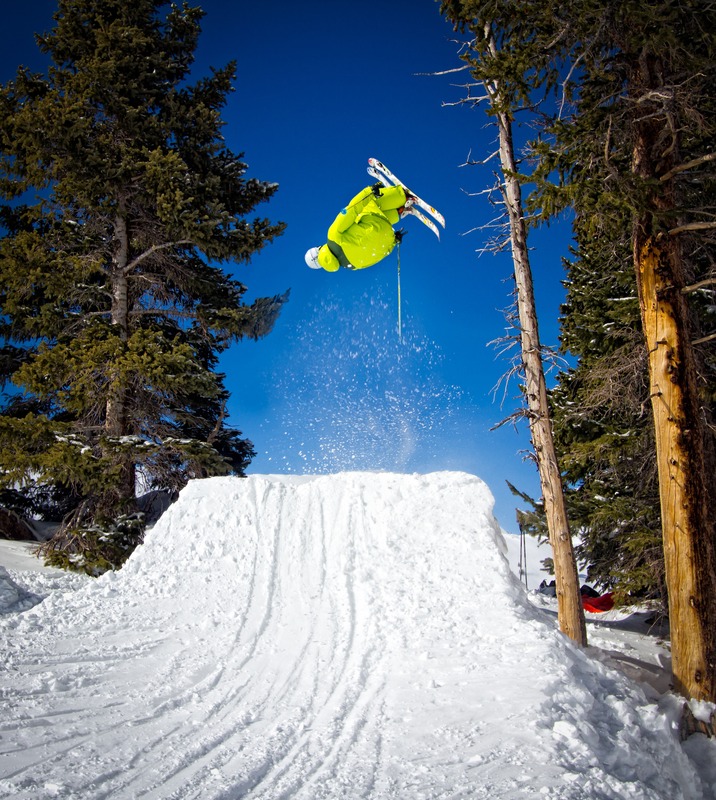 NTN: the New Telemark Norm. Time for all the freeheelers to geek out, argue, fight, hug, celebrate, etc., etc. 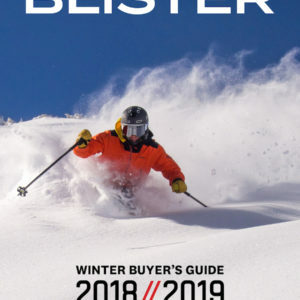 If you’re going to write a review that questions one of the highest profile skis in the industry, that review better be smart. And LONG. Ours is. 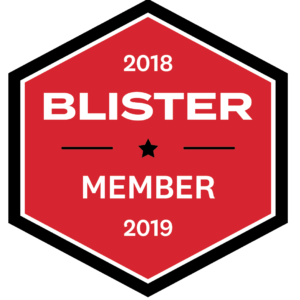 Ladies and gentlemen, BLISTER’s review of the Rossignol Super 7. 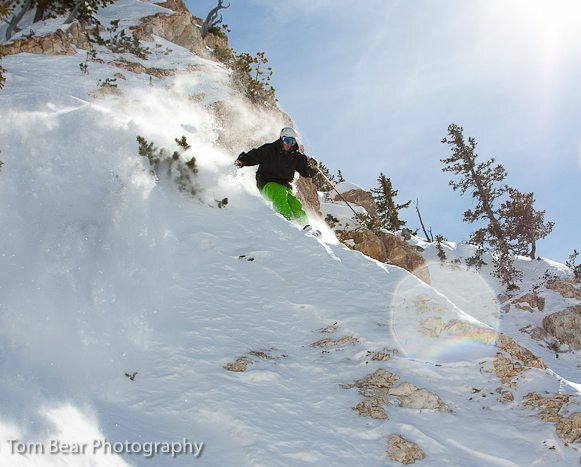 Justin Bobb, hiking up Kachina Peak, Taos Ski Valley. 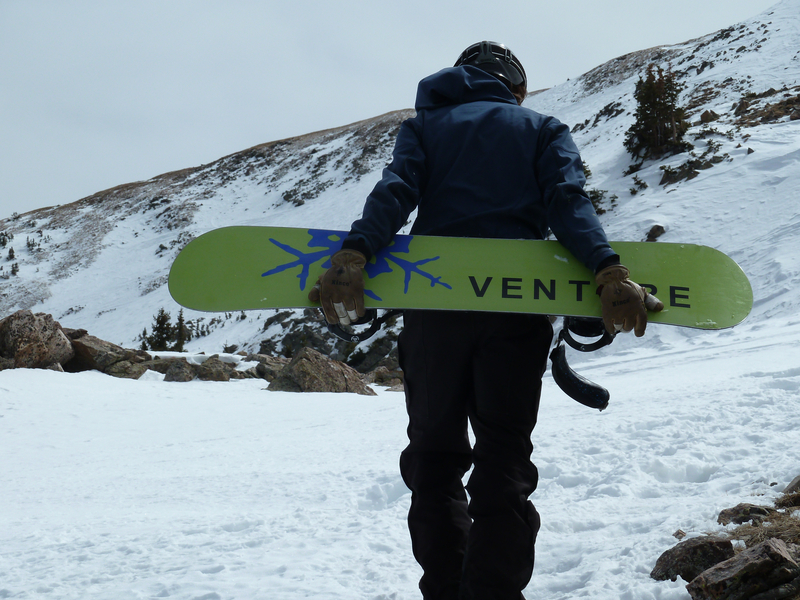 Venture Snowboards has been on my radar ever since they moved to Silverton. 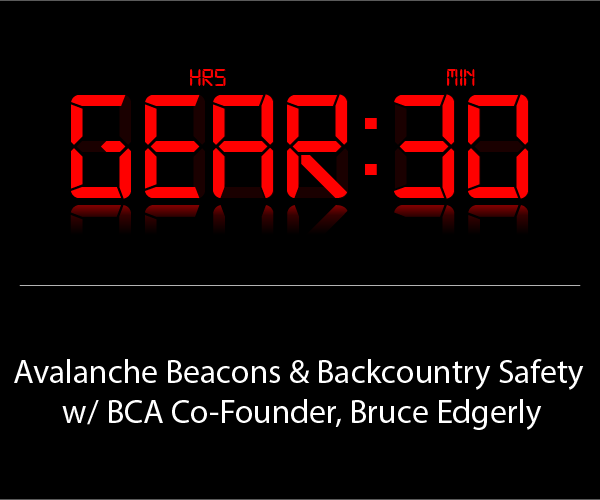 I was living in Durango at the time and was very impressed with a start-up company moving to the remote San Juans. I got to demo some of the original Venture decks, and I have to say that I was less than impressed. There was a funky stepped-back stance and a strange floppy characteristic that made the board unpredictable in turns and bumps of any sort. 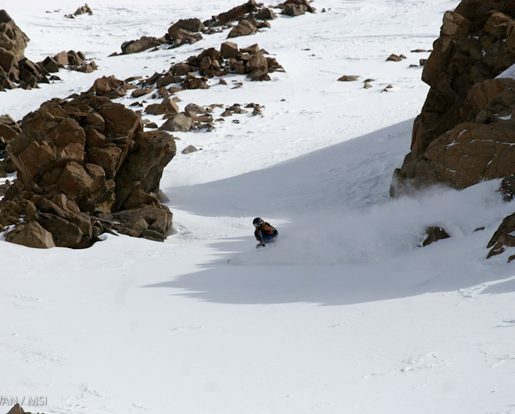 The only advantage to these early boards (though it certainly aligns well with riding in Silverton) was in DEEP POWDER. 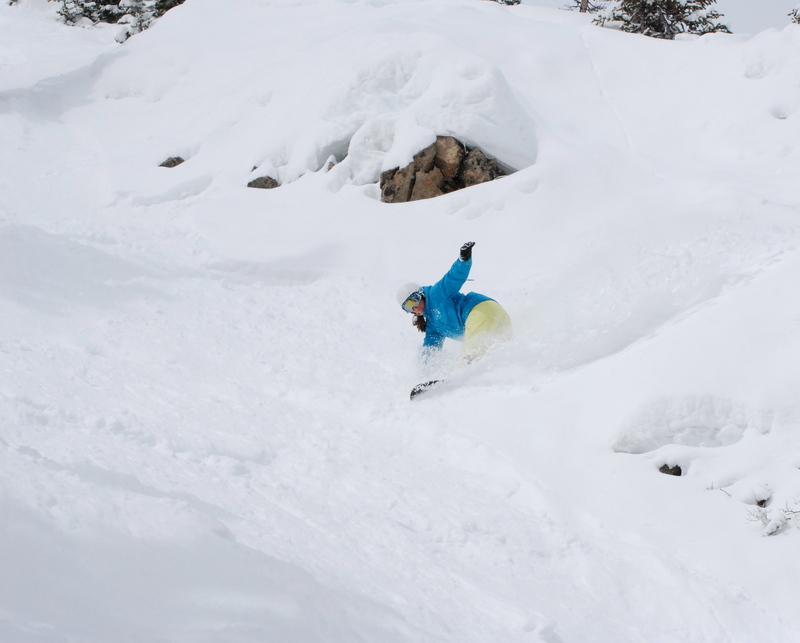 Even though they were great boards in terms of powder specific components, what about the other days that are crunchy, sun-baked, slushy, icy, and worst of all, rocky? Fast forward a few years and meet The Zephyr: a true testament to a company with unrelenting focus on figuring out the details on possibly the best board I have ever ridden. Let’s just say that next year I’m getting one of these. Relative to the number of men’s boards that are produced, there aren’t too many women’s specific boards out there. And of the options we do have, most seem to be oriented toward entry level or park riders. So what’s a girl supposed to do when she’s more interested in slashing powder and riding steeps than cruising groomers? Enter the Never Summer Infinity, friend of the female, all-mountain rider. Before I talk more about the Infinity, let’s briefly discuss the whole issue of “women’s specific” gear. What does that really mean? Is it mostly a marketing gimmick, or does it signify the implementation of important design characteristics? While I don’t claim to be an expert on board construction and design, I have formulated some thoughts through years of riding, selling, and testing out gear. Women’s boards are generally marketed as lighter, softer, and narrower. Personally, I like all of these things, and yes, I still like to charge hard. Having a lighter women’s board relative to a men’s board works because women are generally lighter than men. I like to look at it as a ratio, and lightening up a board just keeps things even. As far as flex, I like my board to be a bit softer because it helps me feel what’s going on under my feet. Instead of being tossed all over the place, I can bend my knees and absorb the board’s movement. I started out on a men’s park board because I thought it was soft enough for me to flex, and frankly, at the time, I thought women’s boards were lame. I was wrong. I couldn’t flex the board with nearly as much ease as I thought, and it took much more effort to turn the board from edge to edge. This leads me to my next point: women’s boards tend to be narrower because women’s feet are generally smaller. This translates into faster edge turnover and quicker turns. All this being said, if you have a larger boot size (generally 9 or above) or a bigger build, you may not want to go the women’s specific route. One of the worst things you could do to your riding is to get onto a board that’s too narrow and have boot drag. Before you buy, evaluate your weight, height, and boot size and figure out what is going to work best for you. I know plenty of good female riders who still rock on men’s boards. Ok, on that note, let’s get on to this review. The Never Summer Infinity is a directional, all-mountain freestyle board with both rocker and camber (which NS calls R.C. Technology). The rocker between your feet gives the board some play and forgiveness, while the camber under your feet provides stability and better edge control. One of the first things I noticed about this board is its skating ability. Even though the camber is supposed to help the board track, it didn’t feel that way and I found that the board had quite a bit of play in it. If you are accustomed to a traditional camber board, it is going to feel out of control until you get used to riding rocker. The Infinity was the first rocker-camber board I had ever ridden and for the first week or so, I hated it. I had no control over the board and felt powerless. After adjusting my riding style a bit and putting more focus in centering my weight, things came together. I have been on this board for the last two years and have ridden it at Taos, Silverton, Telluride, Crested Butte, and Snowbird, and in all sorts of conditions and terrain. Fortunately, MOMENT doesn’t plan to mess with the Belafonte. The question is: will the Belafonte mess with you? Having read Mark Connell’s initial review of the Jeronimo, I was eager to take them for a spin. I’d used the K2 Kung Fujas as my everyday ski last season, but found myself growing increasingly tired of their very soft flex. With dimensions and a camber profile nearly identical to the Kung Fujas, the Jeronimos are different primarily in their much burlier flex. 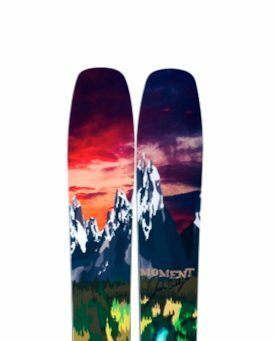 Given this, and as I was looking down at them on the lift (and loving the top-sheet graphics for reasons I can’t fully explain), I had some pretty high expectations for how the skis would perform. Conditions in Summit County on Monday, March 21st were in full spring-mode. 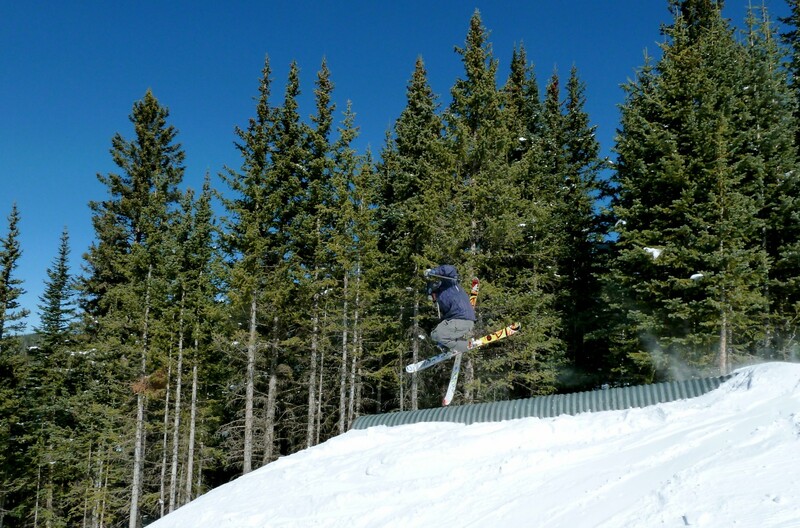 A day at Breckenridge brought everything from firm groomers in the morning to big, super slushy bumps and a park laps in the afternoon. 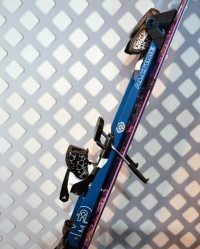 If you haven’t seen this gorgeous ski around, it’s because only 262 of them were made – built by hand in Salt Lake City. 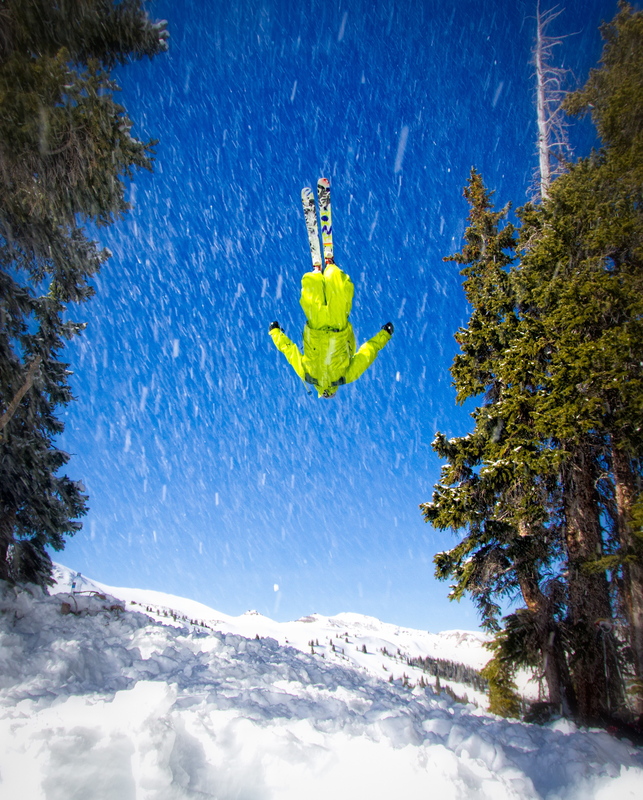 First of all, let’s get it straight: ON3P is pronounced, “Oh-Ehn-Three-Pea,” and it is the name of a small, independent ski company out of Portland, Oregon. I’ve spent a good amount of time on these skis the last three weeks, and a number of people have said things like, “Sweet ONEPs” (“Oh-Neps”). At first I was confused. Then they were confused when I said the name properly, and looked at me like I was a snowlerblader. Fortunately, while the name ON3P is strange, the Jeronimo is a burly, well constructed ski for advanced skiers who know how to handle themselves in all kinds of terrain. Do NOT buy these skis, however, if you don’t want to field questions from strangers all day. The Jeronimos definitely draw a lot of attention and a lot of comments. The bindings were mounted at factory recommended, just three centimeters back from a true center mount. I had to get used to keeping my weight a little more centered rather than forward, and when I did, the skis started coming around better and I wasn’t working as hard to turn them. The Jeronimos don’t have a ton of sidecut, do have regular camber underfoot, and rocker out at the tip and tail. I know what you’re thinking: They sound awesome. The ski is advertised to be for someone who charges the mountain all morning, then laps the park in the afternoon. Since the snow conditions were variable for the first few days I had on the Jeronimos, I started out with them in the park. I found the Jeronimos to work well there, and the only thing missing was that I didn’t feel like I could pop off the tails very well. 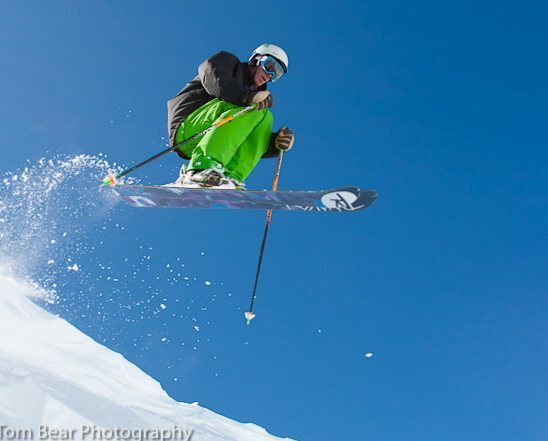 Thanks to the forward mount, skiing backward to switch take offs are a breeze, and the skis felt very comfortable and balanced in the air. However, I can’t say that I would recommend the Jeronimo if you spend the bulk of your time in the park. 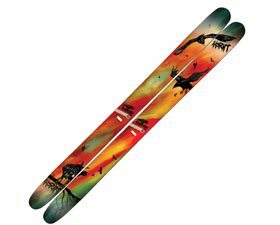 These are a pretty beefy ski with fairly stiff tails, so they are really meant to be used in a different way (I’ll get back to this at the end). And unfortunately, I wasn’t able to take them into a half pipe, which is generally my favorite feature. But based on how the Jeronimos perform on icy snow, I can’t say that I’d be super excited to ride 22 foot walls of ice on them. After the next snowfall, I finally got to see what the Jeronimos could do around the mountain. The first time I got these in some soft snow they came alive. These things crave soft snow, and they plow through tracked up, skied out soft stuff. 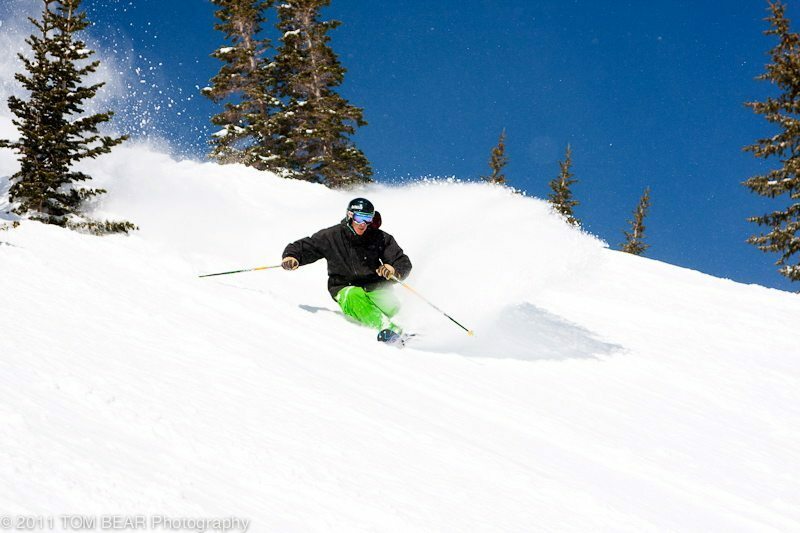 My best day on them came Three days after a storm in Taos. I was skiing with a couple of Squaw Valley rippers who were out visiting. Eager to show them what Taos has to offer, we headed straight for the West Basin ridge, finding pockets of untouched snow, and fun straight lines all over the place. Nice description, except for the fact that the Experience 98 has ZERO tail rocker, which is something that potential buyers ought to know before pulling the trigger. (See the photograph below.) However, while “rocker” is all the rage – so much so that many manufacturers are slapping some form of reverse camber on just about everything they make – the absence of tail rocker on this ski is a good thing, given that it is intended to be an exceptional carver. My first impressions of the Experience 98 were good. 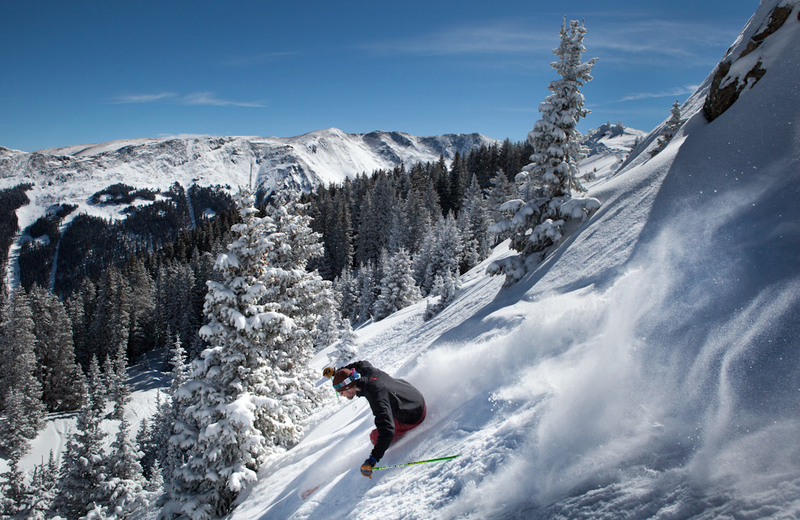 The ski turned easily on groomers – quick edge-to-edge and silky smooth. That impression soon disappeared, however, when I took it into more difficult terrain. The ski became hooky and unpredictable, and was unstable at speed. I took the skis back to the Rossignol rep, Tyler, and told him what I thought. Tyler said, “come back and try it again tomorrow and I’ll set the binding back a little bit.” I did just that, and sure enough the ski performed much better: everything became smooth and stable, and speed and bumps were no longer an issue. Will Brown throws down (and flips) on the Moment Bibby Pros. Then writes this review. First things first: any board named after a ridiculous rider is going to get some attention. This is Mark Landvik’s pro model, a board for a guy who started heli-boarding at 16 and now spends his time cruising the world (Alaska and Patagonia anyone?) while trying to avoid avalanches (he was swept off a fifty-foot cliff by one this season). that handles it all. But what does it handle best, and why? 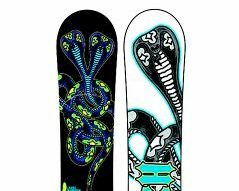 Riding up the lift with a stranger at Snowbird, I was told the boards was “Easy on the eyes.” This really is a gorgeous board with graphics that look like DNA on acid, or love making snakes. Classic Lib Tech, at its best. I was lucky to go to Snowbird to test this board and see how it handled the 3,000 ft per tram ride, with diverse terrain options available in every direction. This was my first time at the Bird, end of January, 2011. It hadn’t snowed in a while and some rain layers were lurking. 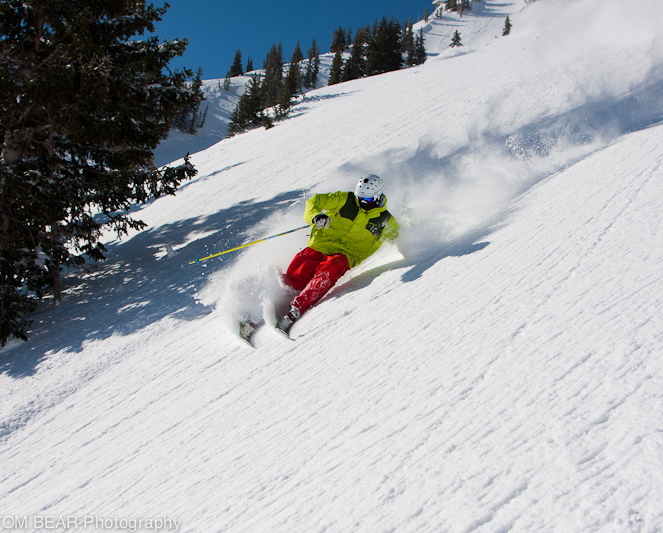 Of course, when it’s blower powder, pretty much any snowboard will suffice, so the test conditions were perfect. We weren’t just riding deep powder, but a mix of pretty much everything: steep, sun affected faces; dry, packed chutes; icy, skied-off groomers; chattery, choppy run-outs; and yes, even stashes of untouched powder. We used the first run to get our bearings and get used to the mountain. The plan was to board down the west side of the hill back to the tram. We headed toward Regulator Johnson, eager to open it up on a steep, open run. First turns on the Lando from the tram down the ridge were quick, responsive, and damp. This board is pretty dang stiff and very solid feeling underfoot. The sidecut of the board could be compared to a serrated knife cutting ice: there’s a little grind to it, and it is apparent that these serrations (Lib Tech calls it, “Magne-Traction”) enhances speed control – you don’t have to make as many checks or turns as you might on a board with traditional edges. Regulator Johnson was a slick slider slope and a wee bit sun affected already. I opened up some wide, huge carves on a very steep open run. I’m impressed by the Lando’s edge hold! I notice off to the left some moguls and a gate with two diamonds on it. I didn’t know where I was going, but those diamonds usually point to areas where you can get loose! I chop through some crud, trying to dig and ride fall line edge at speed to gage the chatter. I did notice some heel edge chatter issues, as if the board was so stiff it wasn’t dampening the bumps. This seemed somewhat contradictory because stiffer usually means more stable. 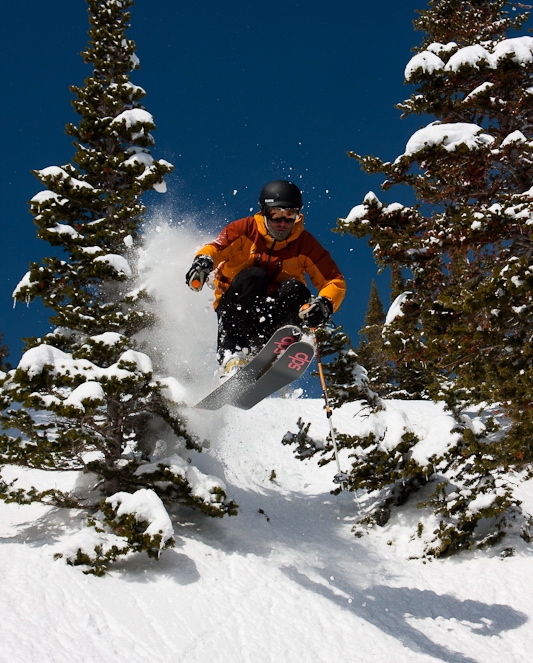 However, snowboards have to be torsionally dynamic to accommodate heel-toe flexing changes. But I wasn’t reading too much into this since I’d only been on the board for a few minutes and there are always stance issues to work out before getting it right. The MFD ALLTIME: Trekker Slaughterer, Duke Killer? 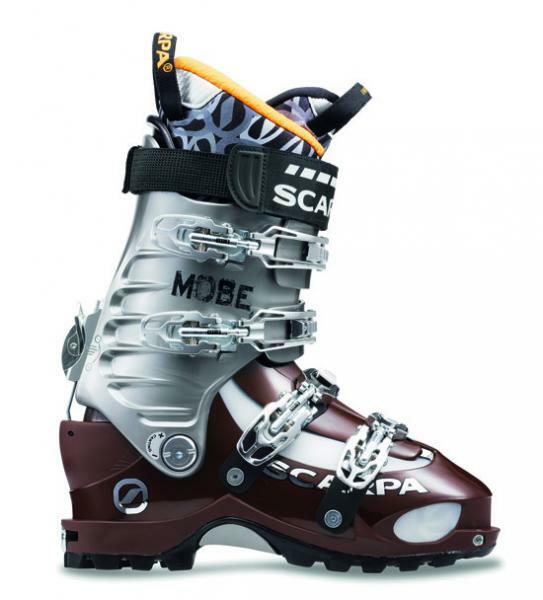 A dilemma exists for alpine skiers who want to access the untouched expanses of backcountry terrain but don’t want to sacrifice the performance of a high-DIN alpine binding. 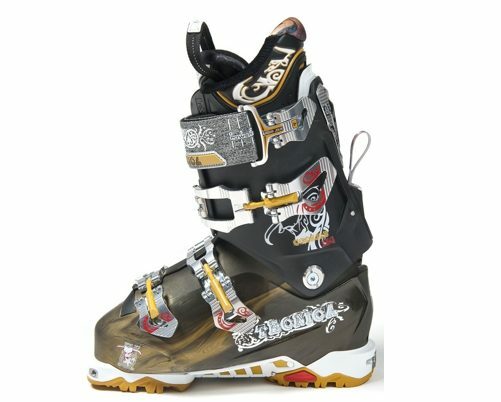 Yes, the release of Marker’s Duke and Baron bindings several seasons ago presented an attractive option. 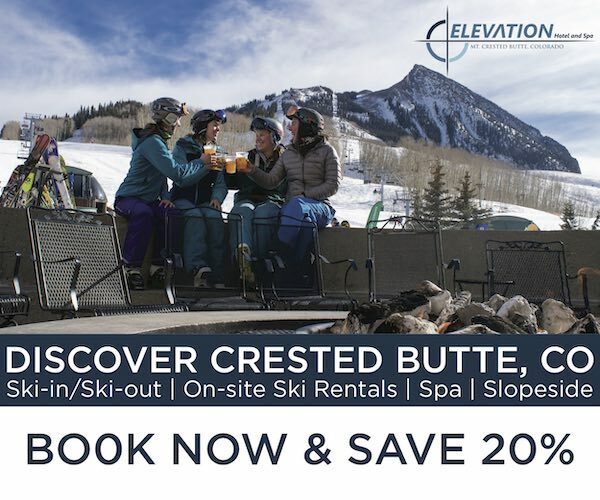 Yet for those of us who either can’t drop the cash on a pair; have issues with their notoriously low elasticity; are concerned with weight; or are looking to adapt an existing resort setup for touring, the options are very slim. 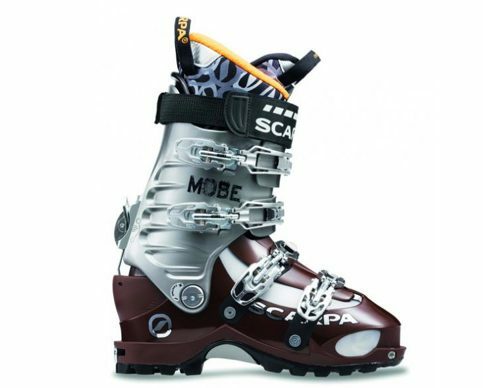 Backcountry Access makes the Alpine Trekker, which are adaptors that click into regular alpine bindings, creating a free-heeled platform designed to fit any alpine boot. 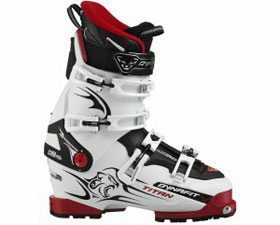 Granted, depending on your boot size, using them with bindings with a tall heelpiece (most new Marker and Look/Rossignol bindings) may not work so nicely. The heel of your boot will rest on the binding, not on the bottom trekker platform. Regardless of these minor compatibility issues, Trekkers (or “Day-rekkers” as they’ve sometimes been called), can get the job done. I have been on a number of tours using them with only the slightest inconvenience. And yet, given the Trekkers’ heavy weight, bulky construction, lack of torsional rigidity, awkward 3″ stand height, and a build-quality that doesn’t seem to justify the $180 price tag, they make for a less than ideal AT setup. Soon, however, there might be a better way. MFD Inc., a Salt Lake City based company, has announced their plan to release a new AT binding system to retailers in fall, 2011. 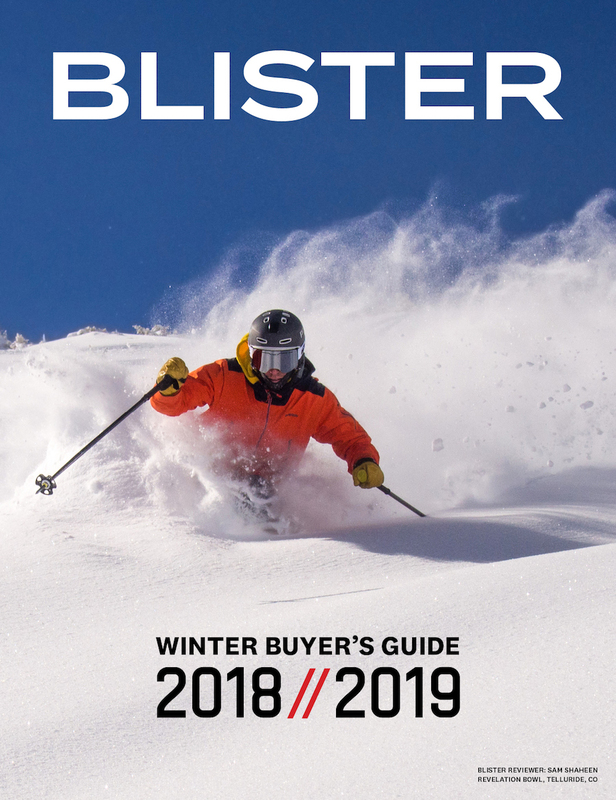 The MFD ALLTIME, the company’s flagship product, aims to satisfy alpine skiers looking toward the backcountry while minimizing the drawbacks of an adapter system. A machined aluminum channel with releasable heel is mounted to the ski. 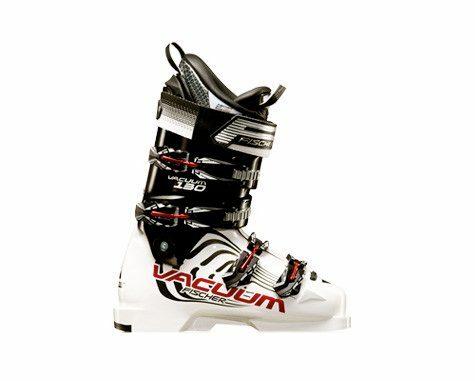 From here, almost any high-performance binding from Salomon, Rossignol, Look, Atomic, Marker, 4FRNT, Tyrolia, or Head can be used. The ALLTIME comes in four different models to accommodate different binding mount patterns. 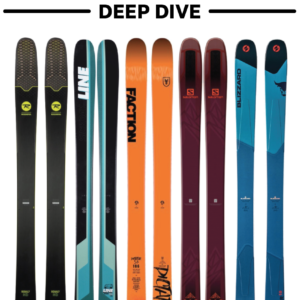 Born from a comp ski (the MOMENT Garbones), the Belafonte earns huge props AS a comp ski—and as a one ski quiver.